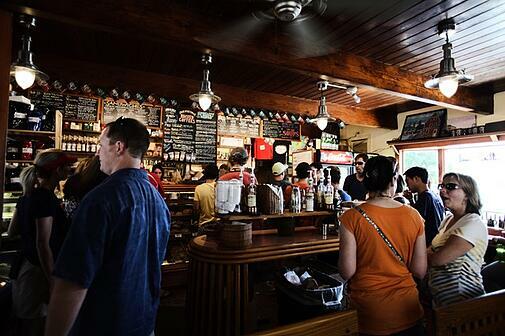 When it comes to your bar or restaurant, the people who are your customers rely on you to provide them with the food and beverages they want with the service they need. In turn, you have the same reliance on the vendors and distributors that enable you to serve your customers, requiring great service, selection, and a mutual commitment to your business. If you’re unsure of the relationship you have with your food and beverage supplier, here are five ways a great partner can benefit your business. Offering your customers alternatives or additional products and flavors keeps them engaged, and coming back. As a food and beverage industry owner or manager, you undoubtedly notice your customers’ trends and preferences. Wouldn’t it be great to say to the guy who always buys cans of Mountain Dew Kickstart, “hey, we have that on fountain now!” It sure would. Make sure you partner with a distributor who makes it their job to make yours easier. It’s never just about Doritos or Pepsi or what you have on draught. Your establishment is an integral part of the community, and your customers rely on you for more than a meal or beverage. By choosing to give their business to you, they are supporting you and your brand. The satisfaction and experience they receive at your location impacts your whole community. If you aren’t feeling that support, it could be because your distributor doesn’t see how your business fits into the bigger picture. Partner with someone who has values and who values the community you both serve. Be more than an account number or stop along a delivery route. Not that there’s anything wrong with an identification system involving business ID numbers, but the point is you should be important to your distributor so when you call or contact them, instant familiarity occurs. You should always be more than a number to your business partners. Dependable customer relationships are key to your bottom line, not to mention very attainable in this industry. Did you know you should be marketing your bar or restaurant products and promotions? That’s where a valuable distributor comes in handy. You have customers; you have product. You should make one of those components very attractive to the other. But, knowing how to do that on top of everything else you manage and oversee at your store or location can be a feat. A food and beverage distributor often has its own internal marketing and promotions team and can provide you with valuable direction and assets to assist you with certain kinds of product placement, point of sale, and displays that relate to a specific promotion. A great food and beverage distributor will take the time and initiative to learn what challenges you face – whether it’s inventory control techniques, restaurant promotions, or selecting healthy soda alternatives to feature and offer a solution. Ready to partner with a supplier that will take you to the next level? Learn more about Bernick's service and solutions to a wide range of industries who serve consumers with our help.